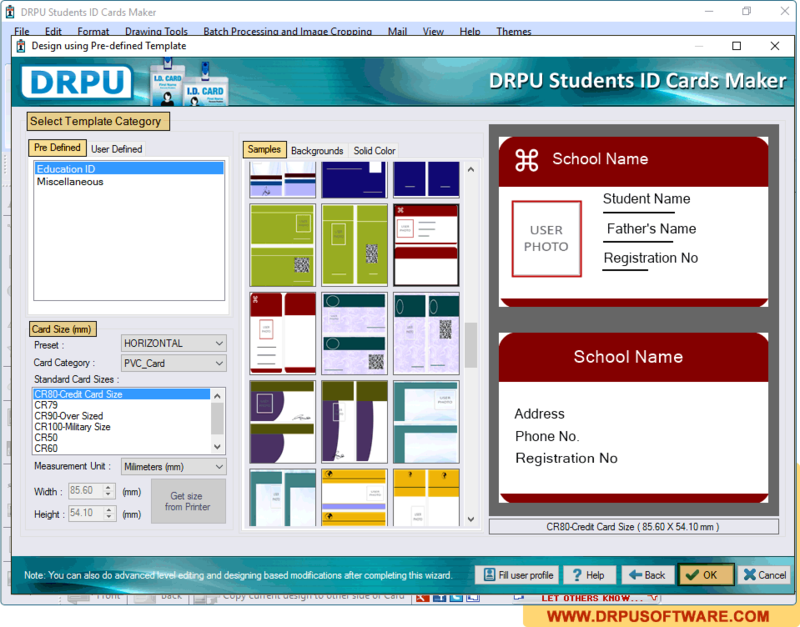 Choose template for your ID Card, Select Card Size, Width and Height as per your requirement. 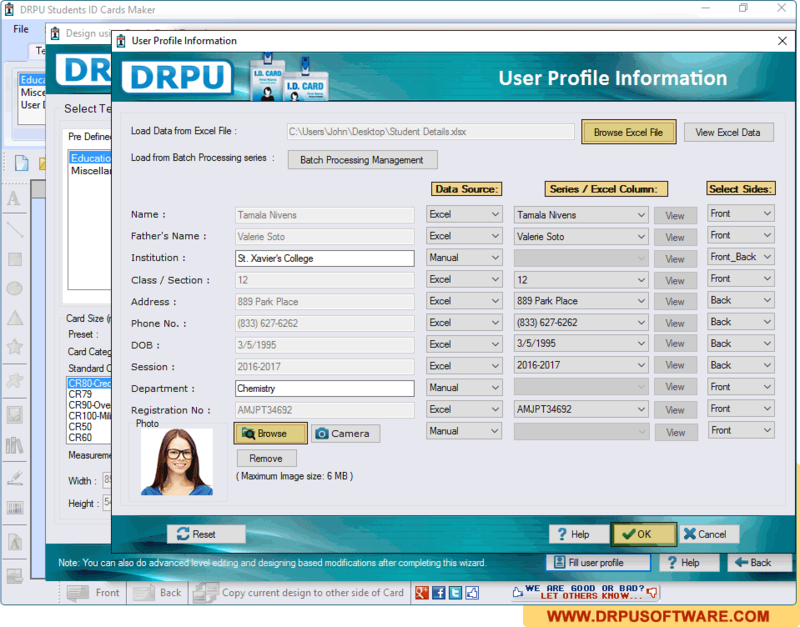 Now Click "Fill User Profile" button to add details on Templates. Here, You can fill all the details manually and if You want to enter details using Excel file, Use "Browse Excel File" button to fill all the details of your ID Card. You can add image on your card by browsing the path of that image or by capturing image using Camera. 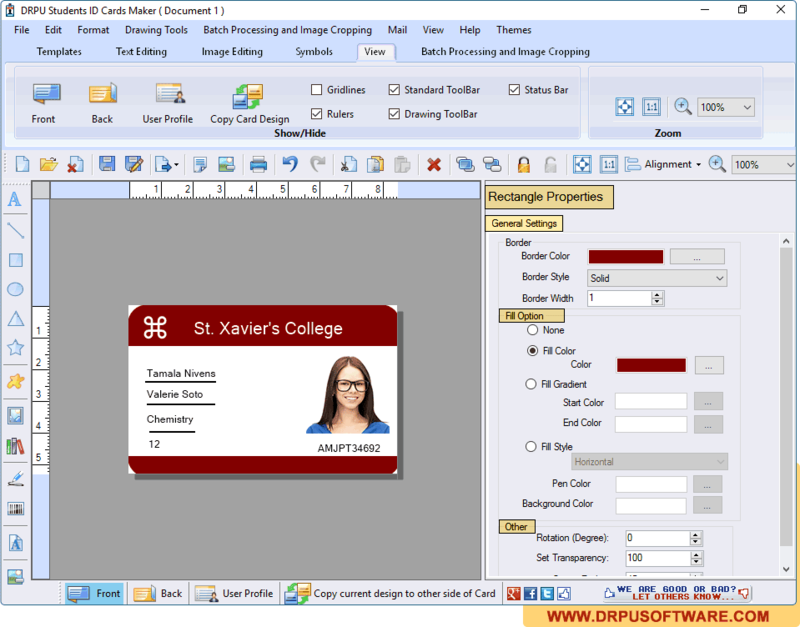 To print your designed Student ID card, First go to 'Print' option in software Tool Bar. 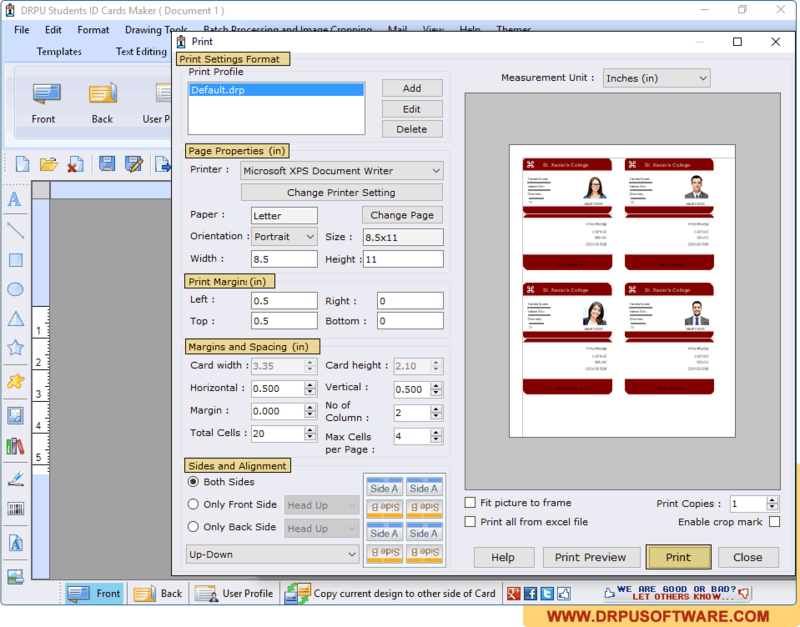 Set all the printing details as per your requirements then click on Print Button.